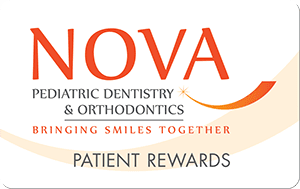 NOVA Pediatric Dentistry & Orthodontics strives to be the best dual-specialty practice in Northern Virginia. We aim to accomplish this with a promise to you, our valued parents and patients, to present an enthusiastic team that is excited about caring for our patients, serving our local community, and promoting lifelong dental health. Our patients’ emotional and physical well-being is our number one priority, and we will strive every day to make our services fun, safe, and rewarding. We will always treat our patients and their parents with the utmost respect and tact. We will be clear in our communications regarding treatment, finances, and education. Because we are dedicated to continuous improvement, we will enhance our own personal development through continuing education and team building to better serve the cause of quality dental care.